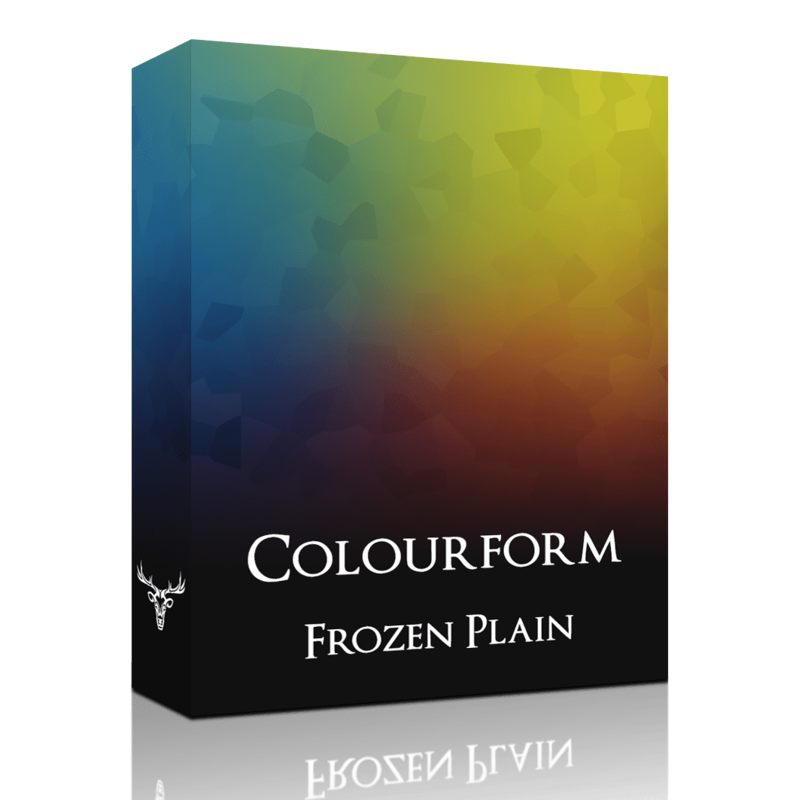 Colourform is a Kontakt sample library designed for making atmospheric and unusual sounds in a different way. 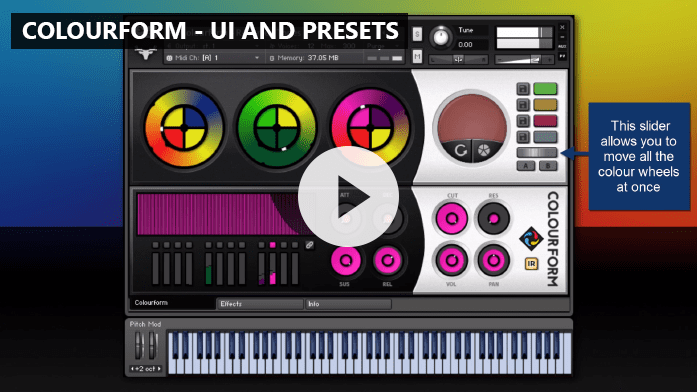 Rather than standard sliders and knobs, Colourform uses colours to blend sounds. 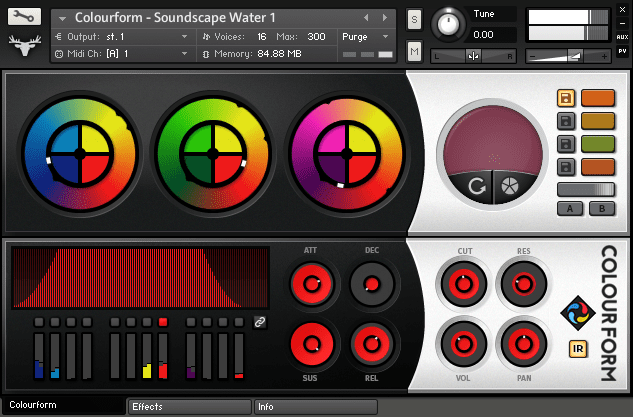 The core of the Colourform engine is the 3 unique colour wheels which are similar to oscillators in a synth. Using these controls, creating new sounds is incredibly easy. 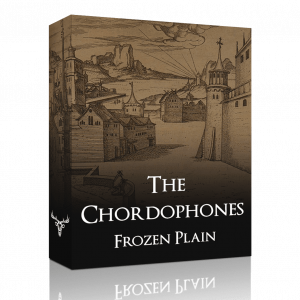 The 112 sounds of Colourform are wide atmospheric recordings from abstract sources, such as pitchforks, glass bowls, creaky gates, spanners, rain and thunder, fire, water, miscellaneous metal, CRT screens, bowed glass and plucked strings. In Colourform 2.0 there have been drastic improvements to the voice handling meaning it is better for your CPU. It also includes a whole new panel that contains ADSR, filter and volume controls for each individual layer. 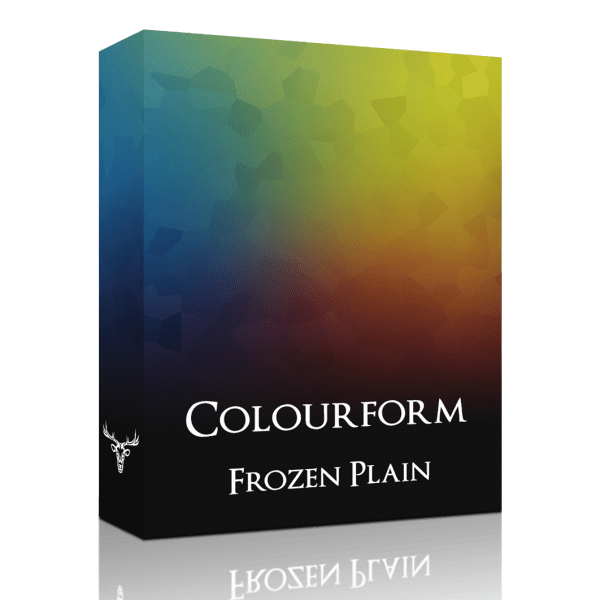 On top of that, Colourform now uses the FrozenPlain Effects Engine which offers 13 effects such as arpeggiator, chorus, phaser, reverb, atomise and scatter (granular synth FX) and more. Finally, version 2.0 also has dozens more presets resulting in a total of 76 NKI files. 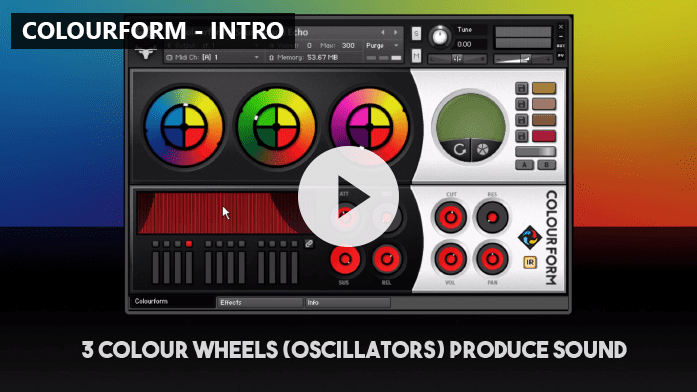 These are a great starting point for your colourful sound design. The core feature of Colourform are 3 unique controls called colour wheels. These are essentially like oscillators on a synth. The sound that each colour wheel (or oscillator) makes is determined by what colour the white marker is pointing at on the outer ring. Each colour wheel is made up from 4 different sounds. These sounds are represented by a colour. The first colour wheel features dark blue, blue, yellow1 and red1. The second features dark green, green, yellow2 and red2. And finally the third: purple, pink, yellow3 and red3. Click the segments to cycle through the available colours. The colours from the 3 colour wheels are blended in real time and shown for you to truly explore what the colour representation of the sound is. 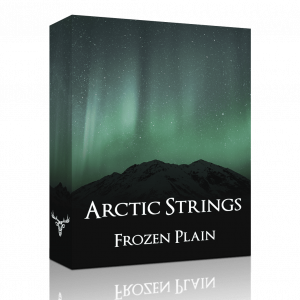 Your colour blend can then be saved to one of the 4 built-in preset slots. 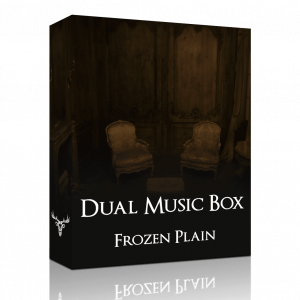 Change the volume envelope, low pass filter, volume and pan of each of the 12 available sounds. There is also a link button which allows you to edit all the sounds at once. 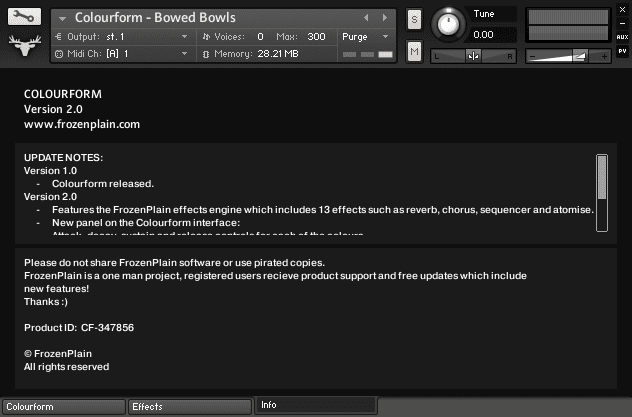 Colourform features 2 easy-to-use randomise buttons. The first will spin the colour wheels to a new random location, and the second will randomise all of the colour segments. The sounds of Colourform have been picked by hand to work well together, their volumes have been normalised and tuned, meaning the random outcomes will always sound good. 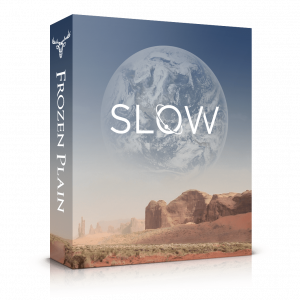 The FrozenPlain Effects Engine is built into Colourform, it features 13 effects such as: reverb, echo, chorus, arppeggiator, sequencer, atomise and scatter (granular synth) and more. Each effect has 5 presets. 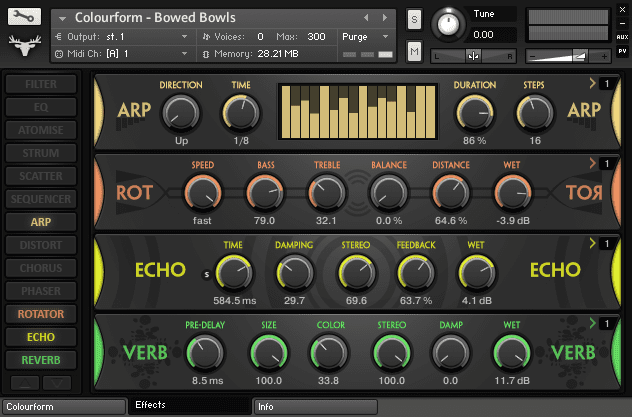 Colourform consists of 19 core patches that each feature 12 sounds. 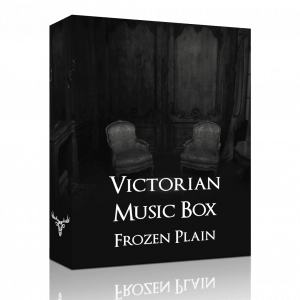 These vary from tuned percussion, pads, high quality ambiences and more. 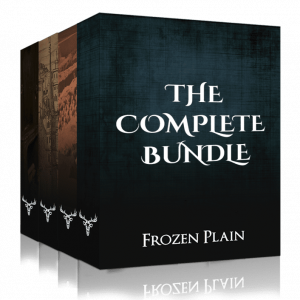 Also include are 3 preset variations for each core patch, which shows the potential of each. 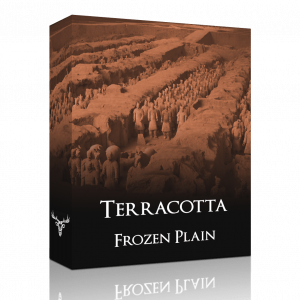 This library requires the full version of Kontakt 5.1 or above to work. 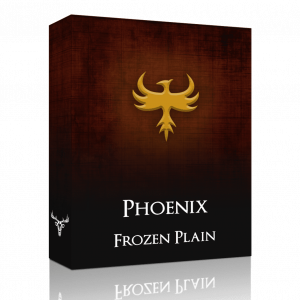 It will only work in demo mode if you have the free Kontakt Player.